If you select a high-quality shingle and hire a reputable roofing company, your roof should proudly perch atop your home for decades to come. There are many types of shingles available, each with their own pros and cons. As you compare your options, consider the aesthetics, cost, durability, maintenance, and ease of installation and repairs. In addition to your bank account, this major purchase will affect your home’s value, curb appeal, and protection against the elements. To begin exploring the many types of shingles available, simply scroll down. We can help you compare composition shingles, clay tiles, wood shakes, slate shingles, and metal roofing. 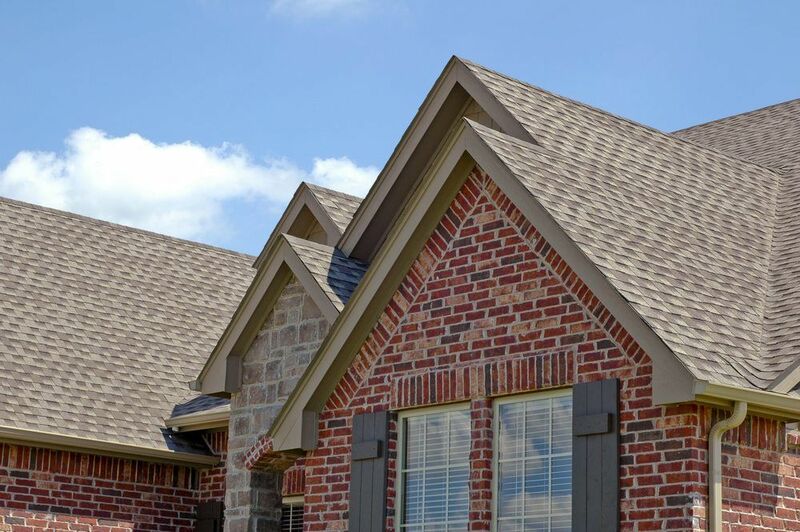 Fiberglass composition shingles (which are coated with asphalt and mineral fillers) are the most common choice for residential roofs here in Springfield, Missouri. There are three types of composition shingles available: 3-Tab, architectural, and premium. Typically when people say asphalt shingles or composition shingles, they’re referring to the same thing. The term “composition” is more appropriate, however, because these shingles are a composite product made from fiberglass, asphalt, minerals, ceramic granules, and more. Composition shingles come in a wide range of colors and can last for many years. Due to their light weight, they’re easy to install and repair. Your choice of composition shingle will have a significant impact on the performance level and final cost. Clay tiles have a distinctive style that complements certain types of architecture, especially Spanish and Mediterranean-style homes. Although many are round, you can also find flat clay tiles and tiles designed to simulate wood shakes. Clay is extremely sturdy and resistant to impact, including hail damage. Perfect, right? Not so fast. Clay tiles are also very heavy, which means your roof must be properly designed to handle the weight, and installation and repairs will be quite difficult. Finally, clay tiles cost more than most other types of shingles. Rustic and natural, wood shakes have a unique beauty that ages well. They’re both lightweight and durable, lasting around 25-30 years for thick hand-split shakes, 18-22 years for medium hand-split shakes, and 15-20 years for wood shingles (which are flatter and smoother). Although most people appreciate the gray color of weathered cedar shakes, some prefer to pressure-wash their wood roof to maintain its fresh color. If you’re concerned about the environment, wood is your best option, as it is biodegradable, renewable, and organic. Unfortunately, wood shakes are also flammable (a flame-retardant coating can help mitigate this risk), more prone to insect damage, and require professional maintenance. If you love the look of wood but these downsides are scaring you off, look into a wood shake conversion, which uses synthetic wood roofing materials. Like ceramic, slate is extremely durable but also very heavy, so it requires a structurally sound design to support its weight. It resists impact, including hail damage, better than all other types of shingles, and it offers a classic and timeless beauty. Unfortunately, slate’s long lifespan can be cut short by great changes in climate, making it a risk here in Springfield, where the temperature swings wildly from day to day. Plus, it’s incredibly pricey. For these reasons, you may want to explore synthetic slate instead. It offers the same pleasing aesthetics of slate, but it is less vulnerable to the elements and more economical but still very long lasting. Although more commonly used on commercial buildings, metal roofing has steadily gained popularity amongst homeowners as well. It offers a unique aesthetic appeal, and many people love the sound of rain pitter-pattering against it (others find this sound annoying, so it’s important to figure out which camp you’re in before committing to a metal roof!). Although it’s resistant to fire and most hail damage, it’s important to understand that a metal roof’s warranty typically doesn’t cover the metal itself. So if a hail storm leaves behind a slew of dents, your insurance company likely won’t pay for the repairs unless the damage has caused a leak or reduced the roof’s life expectancy. In addition, because it expands and contracts with the weather, metal roofing requires excellent installation to prevent leaks and rusting. Metal roofing is available as shingles, shakes (which simulate wood), and panels. Now that you’ve explored the many types of shingles available, are you ready to replace your roof? If you live in or near Springfield, Missouri, give GlennStone Roofing and Gutters a call. We understand how important a high-quality roof is to the protection and value of your home, and we can help you decide which shingle to purchase by providing sample books, giving you addresses of homes that showcase our work, and even using a software that allows you to superimpose roof styles over a picture of your home. With our help, you can rest easy knowing that you’ve selected the best roofing product for your needs. For more information or some personalized advice, please give us a call at 417-860-8125, send an e-mail to info@GlennStone.net, or contact us online. We look forward to hearing from you.